How to Root Samsung Galaxy S8 and S8+ is one of the most common questions on the internet these days. 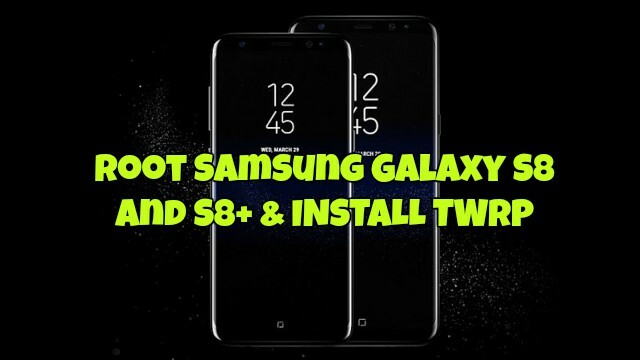 Many of the Android fans who already bought the Samsung Galaxy S8 and S8+ and now they want to install TWRP recovery and root the Galaxy S8 and S8+ Android smartphone. Now here is the goods news for the users who are looking for the guide to root their phone, Thanks to jesec from XDA who manage to install TWRP custom recovery on Galaxy S8 and S8+ and successfully rooted the phones. So, today here in this guide we show you can get the root access on your phone with TWRP recovery. The guide is only for the Exynos variants of the Samsung Galaxy S8 and Galaxy S8 Plus and follows this method on any other Samsung phone. Before following the tutorial do take the full backup of your phone and yes this method will void the warranty of your phone. Follow all the steps very carefully, developers and we are not responsible if you bricked your phone during the process. 2. Now you will see the Developer Option on your settings page. 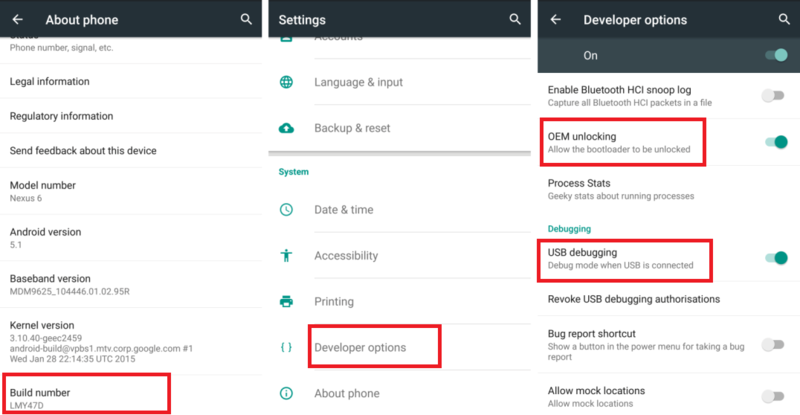 Go back to Settings, Tap on it and scroll down the list to find OEM Unlock and USB/Android Debugging. Enable them both. 3. Now save the TWRP tar file from the download section for your phone and save the zip file on your desktop. 4. Now install the ODIN exe file from the above mention link. 5. Run the ODIN app on your desktop and switch off your device to boot into Download Mode. 6. Now Press and hold Bixby + Volume down buttons and then press the Power button. The phone will boot into download mode quite quickly. 7. Now connect your phone to the PC with USB cable and you should see Added!! message in the ODIN app screen. 8. Now click on the AP or PDA tab in the ODIN window and select the TWRP recovery.Tar file that you saved on your desktop in Step 3. 9. Click the Options tab on Odin and uncheck the Auto Reboot option. 10. Now click on the Start button to flash the TWRP on your phone. 11. Once you get a PASS! Message in the Log tab, TWRP is installed. 12. Now this time you can disconnect your phone from the USB cable. 13. Now directly reboot into TWRP recovery by turning off and holding Volume down + Power button. And now time to root the phone. 15. And here you will see two files. See the screenshot below. 16. To disable encryption/dm-crypt, just simply flash “no-verity-opt-encrypt.zip”. It will disable dm-crypt and make /data encryption optional. Then you can go to Wipe menu to wipe your /data partition to finally disable encryption. 17. To root, just simply flash “Magisk-v12.0-arm64.zip”. It will install Magisk on your phone. 18. When the flashing is complete, tap Reboot system. That’s It! Now your Samsung Galaxy S8 and S8+ is rooted with the TWRP recovery. after rooting, the camera of my samsung s8 is not working. urgent help or update needed. Anyone try this on the Canadian carriers’ SM-G950W model? I have canidian model 950W. Can any one tell by rooting Can I use JIO (Volte) service ? After unlocking I can use it other then JIO perfectly. Cannt use on JIO Volte service. LTE wokring. I tried this on a Canadian phone from Fido, the SM-G950W, and it failed. No OEM Unlock switch. Any way to activate that so it can be rooted? Only guide that worked for me so far. Thanks bunches! Getting stuck on step 13. when i try reboot it into TWRP it goes to the samsung logo then says i have to do a factory reset?